OMG have you seen the new JCP? Summer is finally upon us. I love the sun, garden, beach,and sea. In the northeast we need to take advantage of this season, because it is so short. I take the time to change my house over to a summer home. I start this process with my bedroom. This year I invested ($40) in a cute graphic quilt for the bed; I purchased this at Home Goods. Home Goods is a great place to shop for summer décor, as their buyers tend to go for trendy inexpensive items. Aside from the quilt a summer rug is a must for me, I like a wool rug most of the year but they are too hot for summer. My wool rugs last longer too, as they are cleaned and stored during the sand and mud season! I love Dash & Albert rugs for summer they are inexpensive and very durable. Ballard Design is another great resource for summer rugs. I also recommend taking down window treatments for the summer. If you have shades you can leave them up. I replace my chocolate-brown silk curtains with white linen for summer. I love this look it is very light and airy. 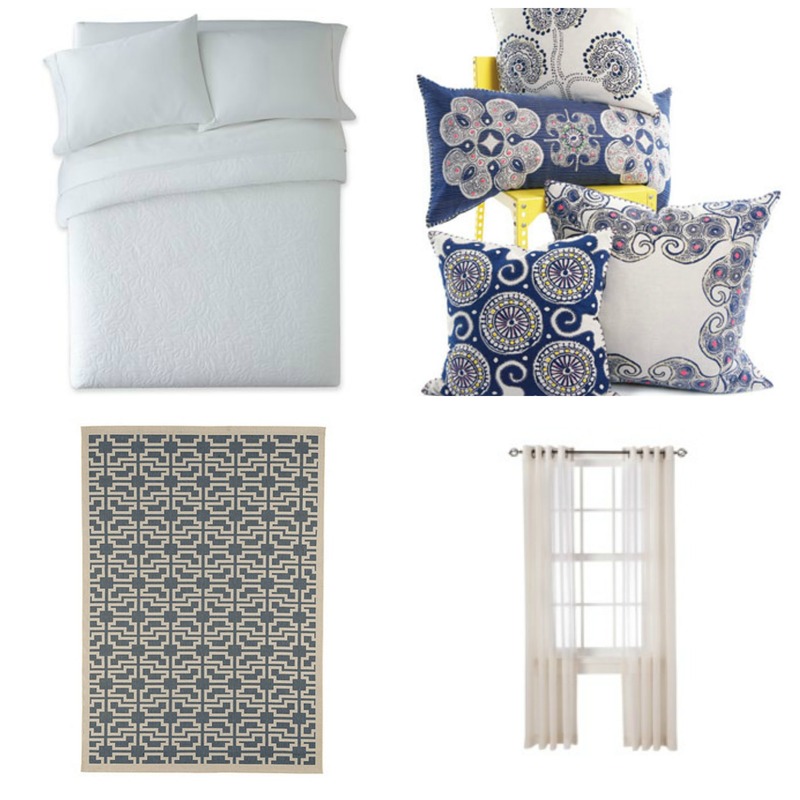 I put this idea board together for one of my clients’ this is a clean and simple summer bedroom. The rug and pillows are busy, but everything else in the room is white so it works! Thank you for stopping by. If you like this post let us know by liking it, or commenting! If you are not already a part of the Celia Bedilia Family, click the follow button and join us!